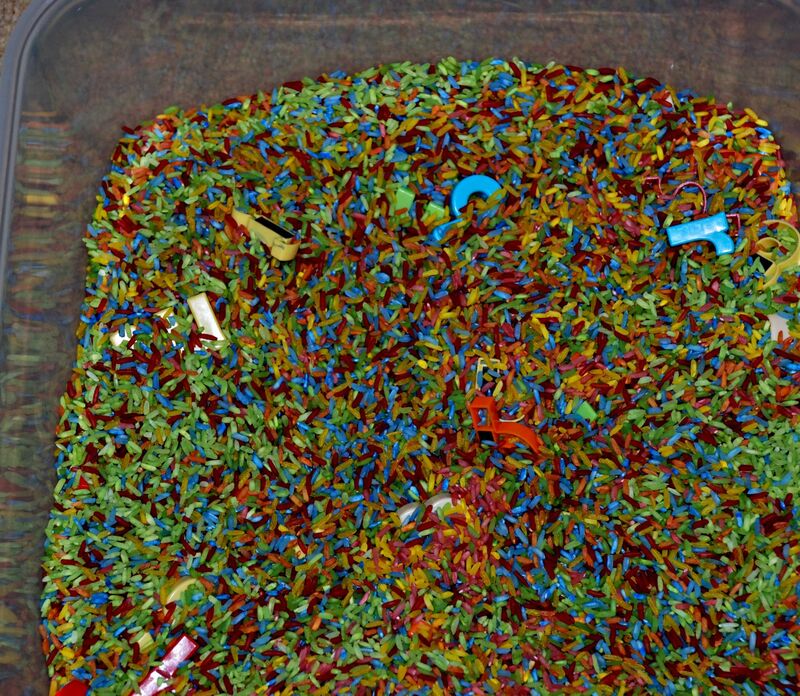 The number sensory bin was such a hit with my youngest so I wanted to try another one but this time using his letters. I started off by dying some rice. For this I normally buy the cheapest Rice that I can find. 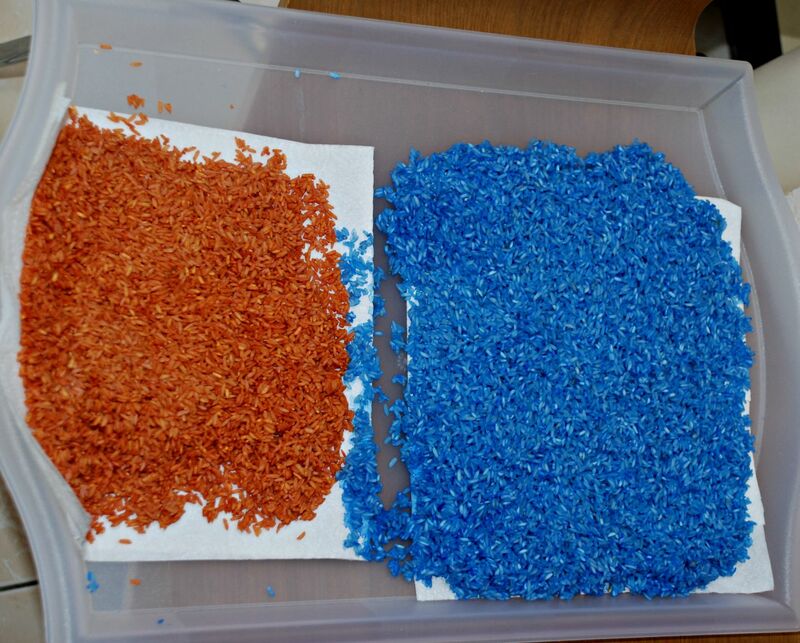 I emptied the Rice into some ziplock bags and then added the food colouring and some vinegar to each bag. We sealed the bags and then the kids had some fun scrunching up the bags to make sure that all the Rice got covered with the food colouring. 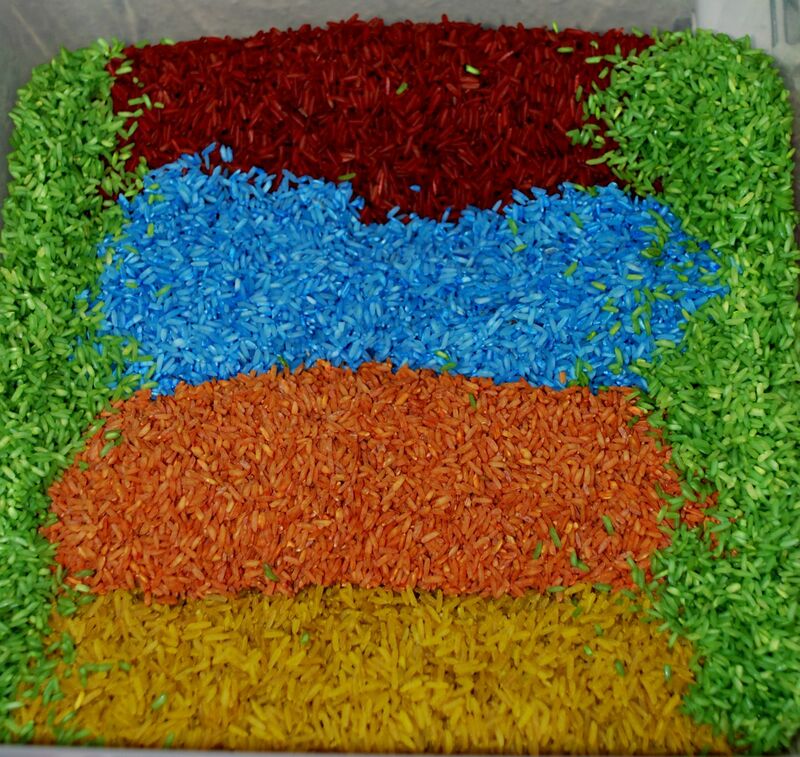 I then emptied the rice onto some old kitchen trays so it could dry – I leave mine to dry overnight. 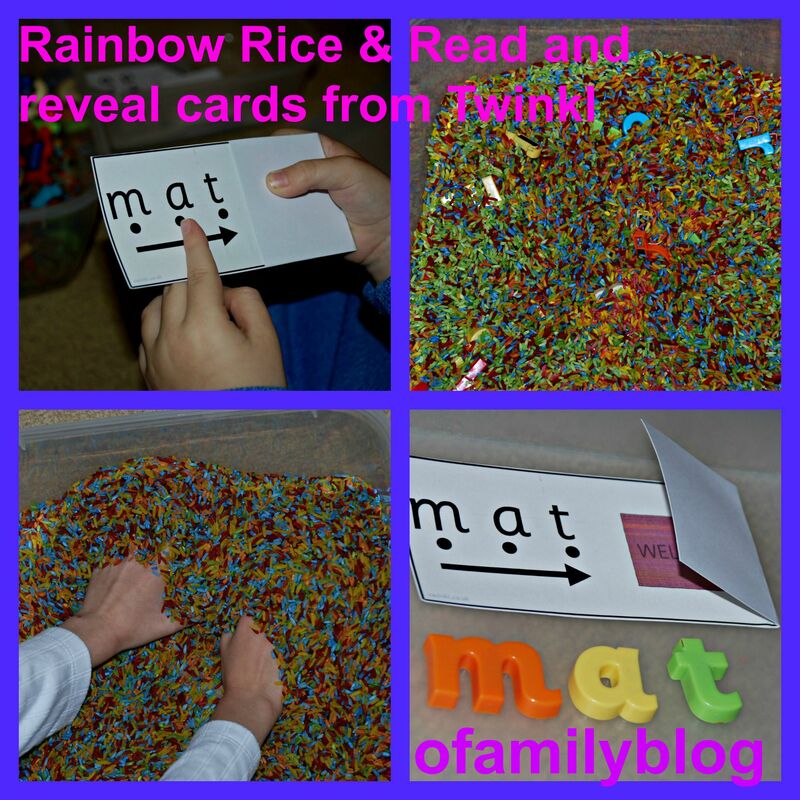 Once all the rice had dried I added it to a big plastic tub and I hid the kids magnetic letters in the rice. You could use this as a letter hunt activity. With my son we used it with some Read and reveal word cards that I downloaded from Twinkl (part of the platinum package). I like these cards as the kids sound out the letters and say the word and then they can open the flap to see the picture. I placed a bunch of these cards in a little tub. My son would select a card, sound out the letters and tell me what he thought the word was, then he would open the flap to look at the picture. 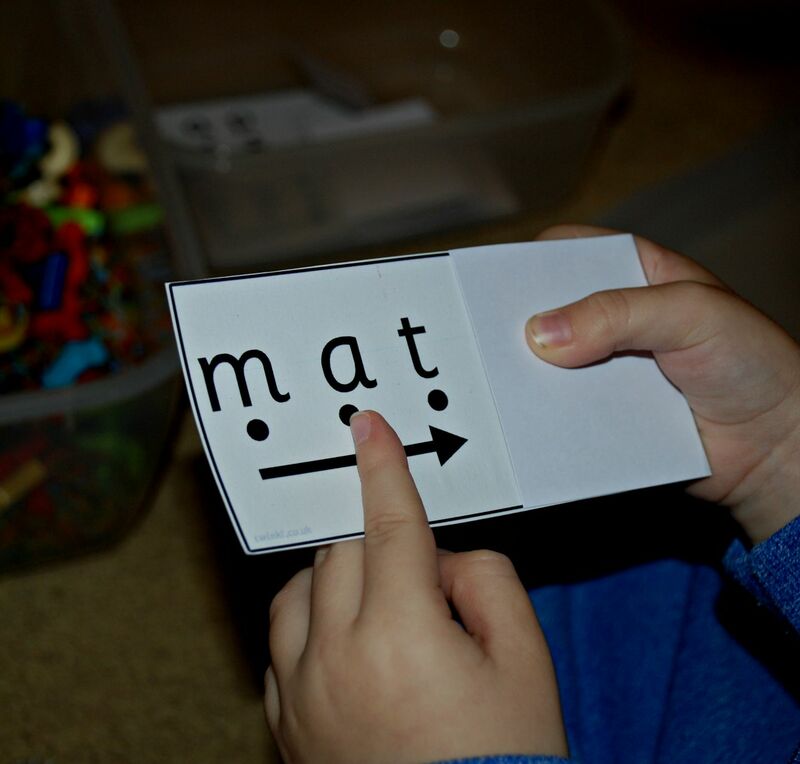 Once he was happy he had read the word correctly he placed his card on a tray and then he dug in his sensory bin to find the correct letters so he could copy the word underneath with his letters. 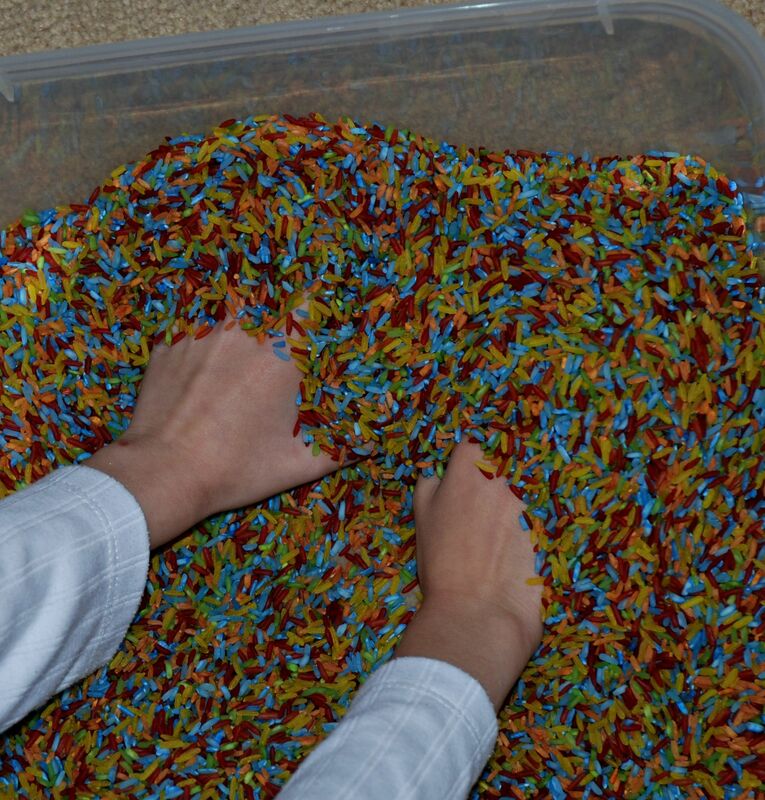 I like including our sensory tubs with our learning activities, I think it makes the learning more interactive and fun for the kids. My daughter actually just likes having sensory tubs in the house. She normally keeps their mixed bean tub upstairs in their bedroom and is often using it with her imaginative play or sometimes I just find her sinking her hands in the tubs. When she was younger (around 4 years) she would never have sunk her whole hand into a tub, she was very tactile defensive. But now after having the tubs around the house and being allowed to slowly discover them bit by bit with no pressure, she will now gladly sink her whole hand into a tub and actually says she finds the bean and rice tubs relaxing. 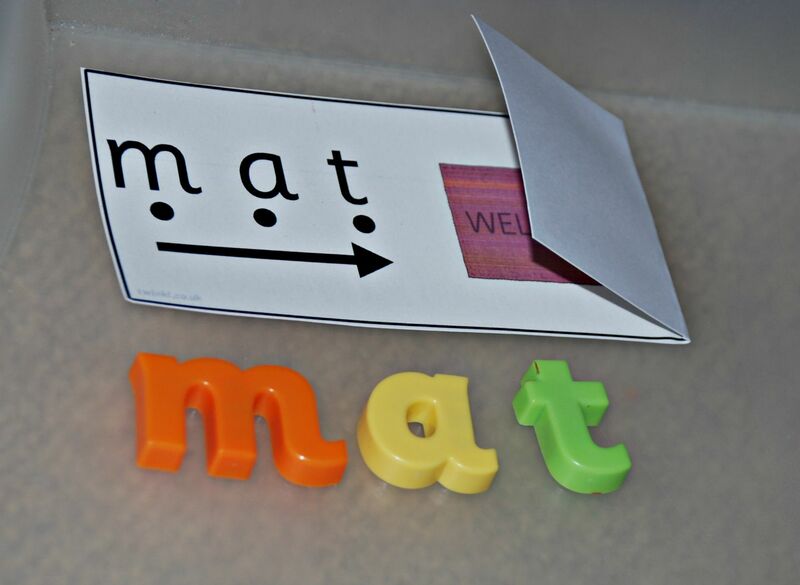 This entry was posted in Homeschooling and tagged home ed, homeschooling, learning letters and sounds, Read and reveal cards, sensory bins, sensory play. Bookmark the permalink.